Below is a letter I sent to DOL to request for a hearing. Please stay tuned. I’ll keep you posted. 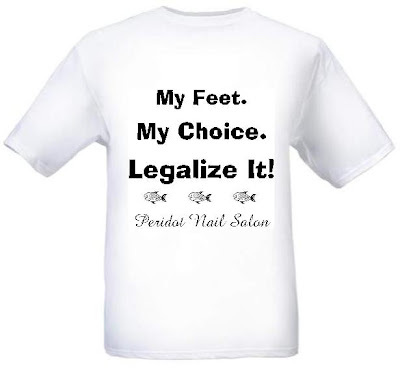 On October 1, 2008, I received a letter from the Department of Licensing notifying our salon to discontinue the use of fish pedicures, because the service violated WAC 308-20-110, the provision that regulates minimum safety and sanitation standards for manicurists. I respectfully request that you reconsider your position and that you schedule a hearing, so that we can more fully address your concerns. If a formal complaint is required to request a hearing, please provide me with that form so I can comply with the Department’s rules. 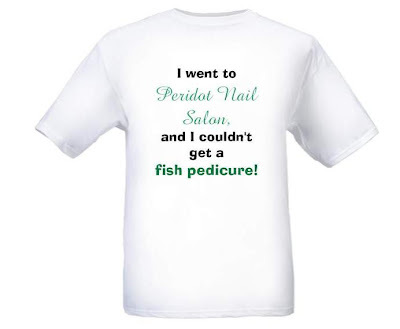 Prior to offering the fish bath service, sometimes called “fish pedicure,” to our clients, our salon researched the procedure. We have documentation and studies which show that our procedure is sanitary and has been approved for use in numerous jurisdictions throughout the United States and abroad. We have also implemented new safety procedures since the Department of Licensing was in, further ensuring the health and safety of our customers and the environment. These procedures include a system that automatically changes the water between pedicures to ensure that there is no unhealthy residue or waste in the tank, a large supply of fish which allows us to change fish between customers, and a UV system that filters the water before it goes into the drainage system which addresses the Department of Fish and Wildlife concerns. We would like the opportunity to share this information with the Department of Licensing, so that it will have more complete information with which to reconsider its ruling. Prior to the October 1 ruling, we performed the service on dozens of clients who were eager to try this innovative beauty treatment. Since the ruling, many customers have come out in support of the treatment and have asked if they can sign a waiver acknowledging that they understand the state’s ruling but want the treatment anyway. Is this allowed under any circumstance? We look forward to your reply and the opportunity to discuss this during an upcoming hearing. Thank You Supporters and Bloggers!